Each year, the Foundation funds and manages a Nevil Shute Norway Excellence in Aviation Scholarship program through which one or more selected recipients are awarded a $1,500 USD scholarship to further their education toward a career in aviation. The Royal Victorian Aero Club (RVAC), where Nevil Shute's wife Frances Norway received her pilot training, was selected as the agency to administer the first three years of the scholarship program. The RVAC is located at Moorabbin Airfield, just outside of Melbourne. 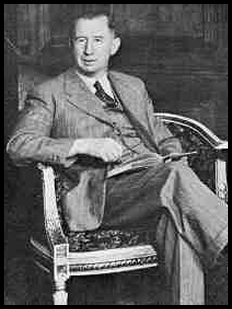 It was there that Nevil Shute kept his beloved Percival Proctor, Item Willie. For 2006, two scholarships were awarded in the US at Double Eagle II Airport near Albuquerque, New Mexico. 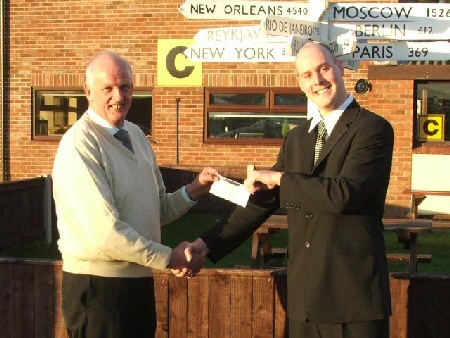 In 2007 two scholarships were awarded in the UK at the Sherburn Aero Club, where Nevil Shute flew during the years before WWII. In addition, an extra scholarship was awarded to Annabelle Coppin - see below. 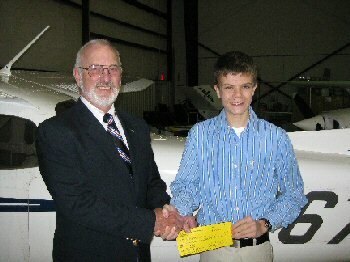 The Nevil Shute Norway Foundation has presented a 2009 "Excellence in Aviation" award to Michael Williams, 15, of Albuquerque, New Mexico. 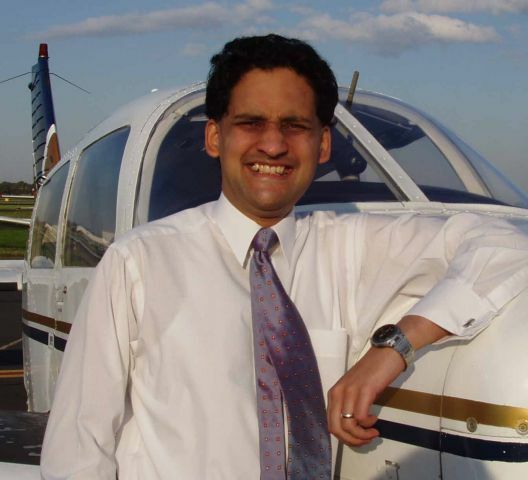 The $1,500 award is to be used to further the recipient's education toward a career in aviation, and was presented to Williams on November 15, 2009, at Double Eagle II Airport near Albuquerque. Dan Telfair, an Albuquerque pilot and Vice President of the Foundation, made the presentation. Williams is currently a sophomore at Albuquerque Academy and training with Bode Aviation under flight instructor Brad Gilbert to obtain his private pilot license. Williams' long-term career goal is to work in the aviation field, perhaps as a charter pilot in the southwestern United States. He recently received a similar scholarship sponsored by the New Mexico Pilot Bash. 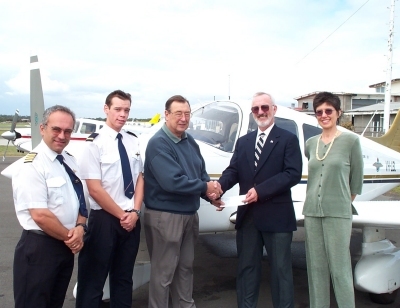 In January 2007 two £750 Scholarships were awarded at the Sherburn Aero Club, Sherburn-in-Elmet, Yorkshire, a location which has many historic links with Nevil Shute. A Selection Board was held with John Anderson and Mike Meehan representing the Foundation and Adrian White (Chairman) and Chris Stringer (C.F.I.) representing the Club. There were four applicants and two were selected unanimously. Richard is a 24 year old likeable young man with an aspiration to fly for one of the major UK airlines. He has his Private Pilots license and is beginning on the long (and expensive) road to becoming a commercial pilot. 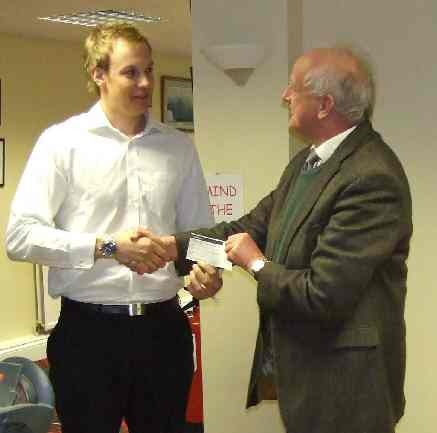 He is funding himself working on ground handling at Leeds-Bradford airport and will use the Scholarship money towards his ATPL Ground theory course this year. Owen is 30 years old and also has aspirations to fly for a living but probably for local operations and in a diverse range of aircraft. Again he is self-financing working all the hours he can to fund his flying training. He has his PPL but needs to do an IMA rating which will enable him to fly on instruments and in poor weather. He will use the Scholarship funds towards the cost of this training. Owen is also a budding author. He enjoyed reading The Rainbow and the Rose, which all the candidates were asked to read. This prompted him to buy a copy of Slide Rule and to read No Highway. 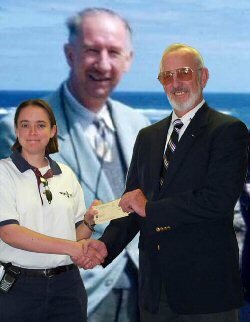 In addition, on August 13, 2007, the Foundation awarded a $3,000 "double" scholarship to Annabelle Coppin. It is to be used toward her helicopter training. Annabelle already has an airplane license, and both the airplane and helicopter licenses will be used in her pastoral duties. Annabelle is the grand-daughter of Jimmie Edwards, on whom Nevil Shute modelled Joe Harman in "A Town Like Alice". 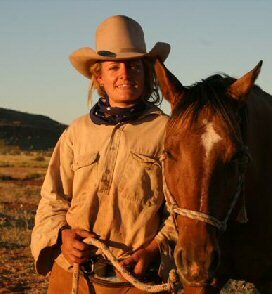 She also recorded on an Australian website at http://www.australianoftheyear.org.au/honour-roll/?view=fullView&recipientID=344 which is definitely worth reading. 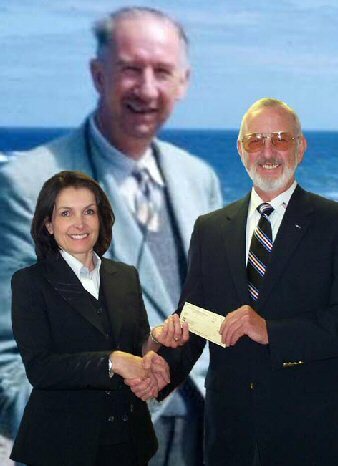 In 2006, two $1,500 scholarships were awarded at Double Eagle II Airport, near Albuquerque, New Mexico. A selection Board was held with Secretary/Treasurer Dan Telfair representing the Foundation. Diane Bode, Chief Administrative Officer of Bode Aviation, the flight school at Double Eagle II, and Wendall Gunthorpe, a senior instructor at Bode Aviation, were the other two members of the Selection Board. One of the two scholarships was awarded to Alix Vivier, now a flight instructor with Bode Aviation. Those who attended the Centennial Celebration may remember her as the charming 17 year-old who assisted with the film festival and other support functions at that gathering. Alix now has her private pilot license, commercial license, and multiengine, instrument, and certified Flight Instructor ratings. She plans to use the scholarship to work on her instrument instructor rating. Alix' long term aviation goal is to fly for a charitable organization such as Doctors Without Borders. The second scholarship was awarded to Ursula Durrer, a Swiss Citizen currently working in the United States while she pursues her aviation career dream. Ursula works as a counter representative for Delta Airlines when not raising her 17 year old daughter and flying. Ursula currently has her private pilot license and is almost finished with her instrument rating. Ursula's long term aviation goal is to be a charter pilot, possibly flying in the Caribbean or Central America. In 2005, one scholarship for $1,500 USD was awarded to Jeanne Campbell. Jeanne lives in Moorabbin, Victoria, and is an Administrative and Technical Officer. She has a Bachelor of Science (honours), and is working on her Diploma of Aviation. She attended the University of Melbourne. Her hobbies are flying, making jewellery, netball and cooking. Her previous flying experience - she has her private pilot's licence, 150 hours total time, through the RVAC. She says that this scholarship allows her to compete the command (can't read the next word, but it looks like hour or tour) for the CPL, (Commercial Pilot's Licence) with a trip to outback Australia. With the scholarship funding, a huge portion of the flying costs, she will be able to use the money she has budgeted for command (tour or hour) building over the next few months to pay for other travel-related expenses. With this assistance, she will still be able to complete training for the CPL within her budget and schedule. Such a trip will provide new and extremely valuable flying experience in challenging situations, and allow her to see part of the country that she would be otherwise unlikely to see, in a way that few people get to see them. 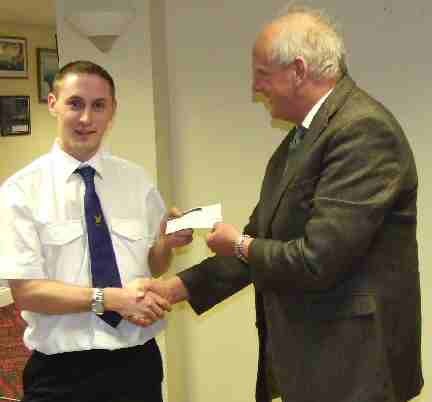 I am writing to thank the Nevil Shute Norway Foundation for awarding me the 2005 Excellence in Aviation Scholarship. 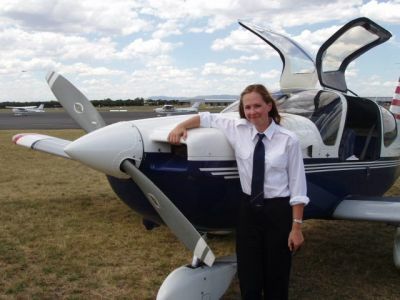 The scholarship allowed me to bring forward my plans to undertake a Flight Instructor Rating which I completed in August this year with the Royal Victorian Aero Club. After completing this training I was immediately employed by the club as an Instructor. I very much appreciate the assistance the foundation has provided. Attached is a photo from the recent RVAC Wings presentation night. 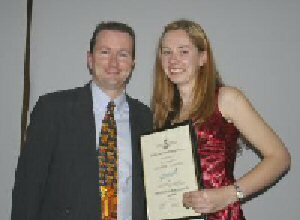 I was co-recipient of the Chris Smith Trophy (student of the year) and the photo is of me with my instructor Greg Seymon. 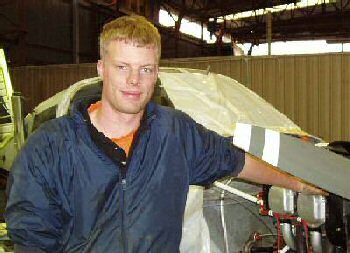 Two $1,500 USD scholarships were awarded in 2004, a commercial pilot scholarship to Satish Vasan and a ground engineer scholarship to Paul Williamson, both also studying at the RVAC in Moorabbin. 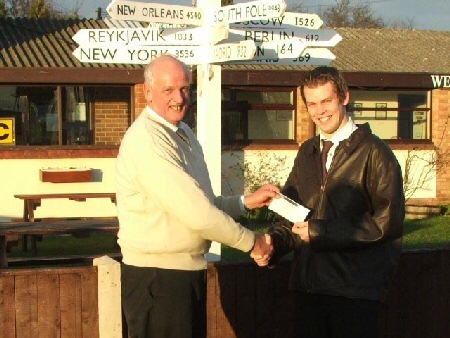 One $1,500 USD scholarship was awarded in 2003 to 19-year-old Australian Ben Lawrence, an aspiring commercial pilot who receives his flight training through the RVAC while pursuing a Business Degree at Swinburn University and working full time as a cinema projectionist. Foundation representatives present 2003 scholarship check to RVAC. Left to right: Chief Flight Instructor Joe Ferlazzo, scholarship recipient Ben Lawrence, Flight Operations Director Roger Smith, Dan and Zia Telfair.